4-Word Review: Illicit love in India. 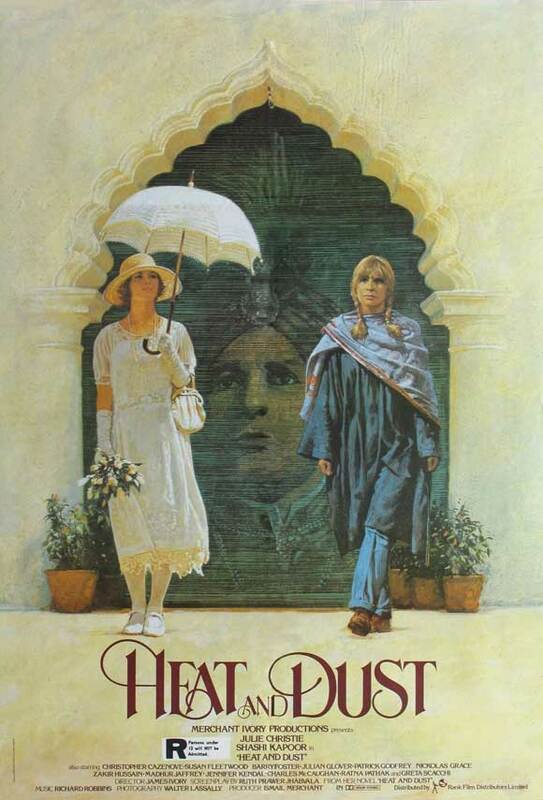 Anne (Julie Christie) has acquired a great fascination with her long-lost Aunt Olivia (Greta Sachi) who was involved in scandal while living in India during the 1920’s. After doing some extensive interviews with Harry (Nickolas Grace) a man who knew Olivia and was friends with her during the period, Anne decides to make a trek to the region herself. Although several decades removed Anne still manages to find some interesting things about her Aunt including her illicit affair with a local ruler named Nawab (Shashi Kapoor) which caused great scandal at the time and forced her to go into hiding. The film has a unique structure in that it weaves back and forth between the ‘60s when Anne travels to the region and the ‘20s when Olivia was there. Initially this is slightly off-putting as it cuts back and forth quite suddenly and without warning, but eventually I adjusted to it and amazingly it comes off quite seamlessly most of the way. The film spends more time on Olivia, but by the end it’s cutting between the two every couple of minutes and it one cool moment even have the two come together in a surreal type of way. The only real problem I had with this is when Anne meets a young American man who has ‘purified’ himself from the capitalistic culture of the west, but then still seems to fall back on his old ways at times creating a tumultuous relationship with Anne that I found rather interesting and was upset when the film suddenly cut back to Olivia and then stayed with her for too long a time before going back. I enjoyed the on-location shooting of India, which makes you feel almost like you’ve traveled there yourself. The film not only analyzes the crowded squalor of the big cities, but also the rocky beauty of its rugged terrain. The film immerses the viewer in the culture looking at both the positive aspects of it as well as the negative, which gives you an overall balanced viewpoint. However, I would have liked more an expansive look of the area with greater use of a wide angle lens and a few bird’s-eye shots of the city, but this was most likely limited because of budget restraints. I enjoyed the wide-eyed idealism of the Olivia character and Sacchi captures it just right. Christie is also solid, but in the end a bit wasted. The film itself is interesting enough to hold your attention, but some of the scenes go on longer than necessary and could have easily been trimmed. The story seemed rather simple and predictable and has no action at all making the runtime excessive especially with a final payoff that is not too exciting and leaves more than a few loose ends open.